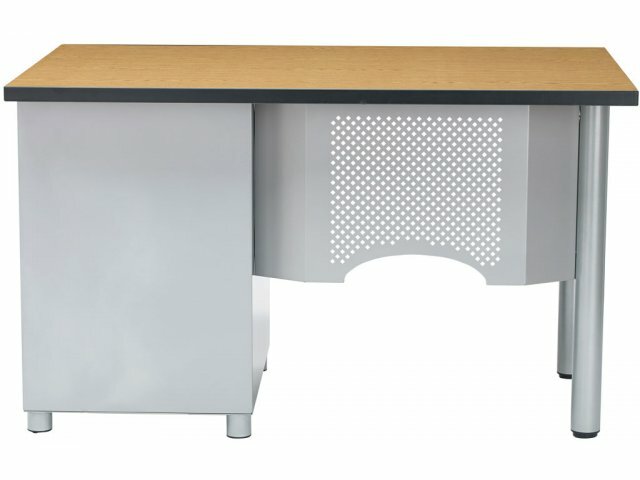 If the space in your classroom is limited, the Nate Junior Teachers Desk is just what you need. 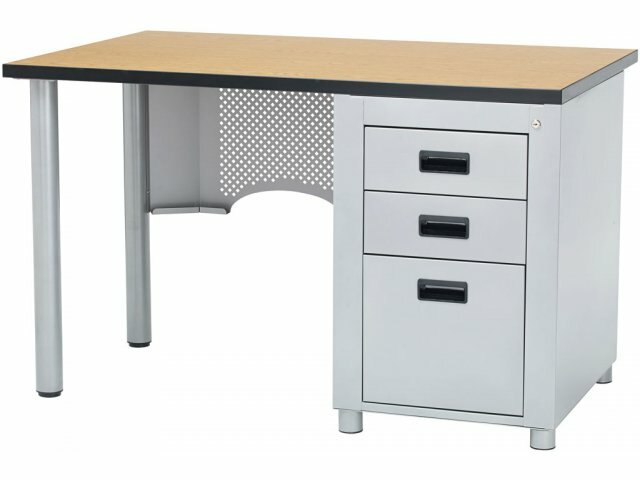 This modern, stylish desk will give any educator a comfortable work space for grading papers, marking tests and meeting with students. Locking box and file drawers keep school supplies and papers organized and secure in a convenient location. 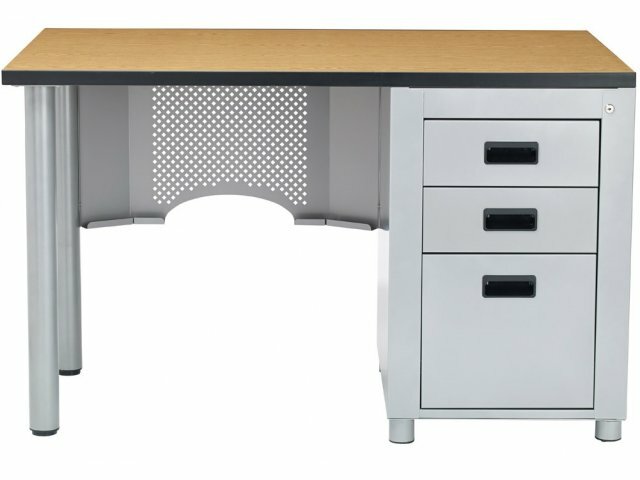 With a subtle contemporary flair, this teachers desk will fit in perfectly in any learning space. 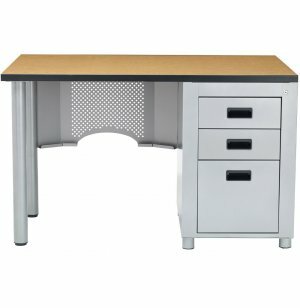 A sturdy build ensures that educators will be enjoying this teacher desk for many years to come. The high-pressure laminate surface with 2mm edge banding resists scratches and stains. 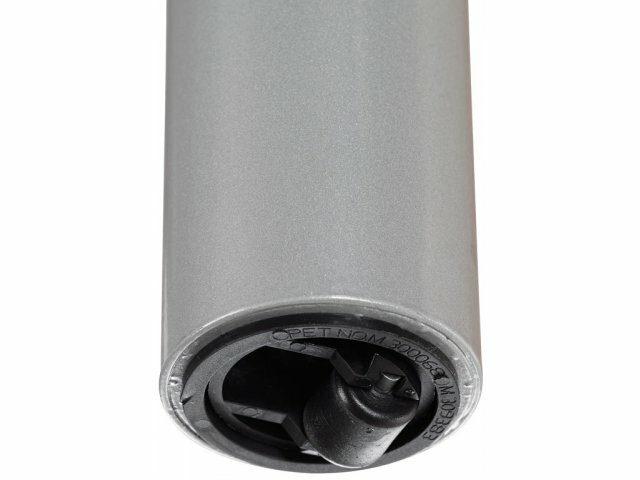 The 16-gauge steel legs are screwed into heavy-duty steel inserts for a sturdy connection. With a combination of compact size, great drawers and tough materials, the Nate Junior Teacher Desk is a perfect choice for today's busy educators. Simple Moving: Inset casters on two legs make it easy to slide the desk into place wheelbarrow-style. Tasteful Aesthetics: The pierced powder-coated 18-gauge steel modesty panel creates a comfortable, more private workspace. Convenient Storage: Two roomy box drawers provide an accessible space for supplies, and lock for security. 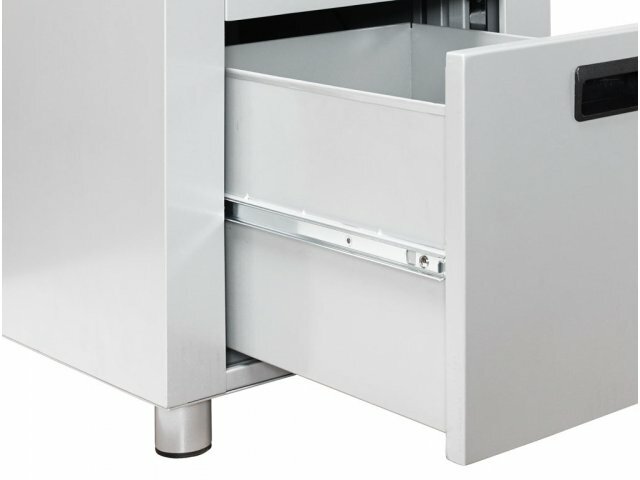 Easy Sliding: The ball bearing file drawer is a great place for papers, tests and other documents. Smooth Worksurface: The desktop is 1.125" fiberboard with a high-pressure laminate surface and 2mm edge banding. Color: Available in a choice of beautiful finishes that will complement your classroom décor. Sturdy Support: Legs are powder-coated, 2.375" diameter, 16-gauge steel screwed into heavy-duty table inserts.